and Lawrence Curley and Bridget Farrell. accomodate the Kingston and Pembroke Railway, called the Kick and Push or K and P Railway. at approximately Lot 19 at the western edge of the lake. which runs from Burnstown to Calabogie to Centennial Lake. to Mount St. Patrick, a strong Irish Catholic pioneer community. 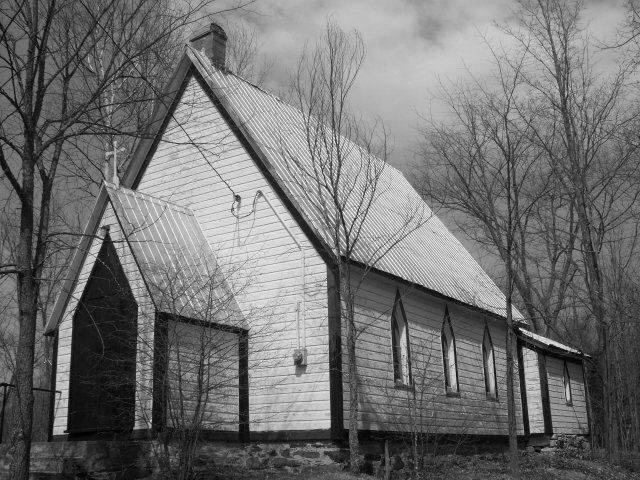 James Dobson and Mary Mussell also settled in Renfrew County, probably in the 1850's. 1860-1910 Records from Our Lady of Holy Angels at Brudenell. 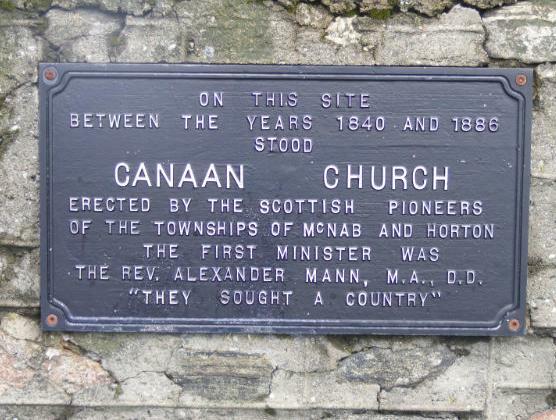 A very large database of Catholic pioneers in Renfrew County. Visit the Official County of Renfrew Website. Below is a photo of David Atcheson and Margaret Robinson from Pembroke, Ontario, Canada. 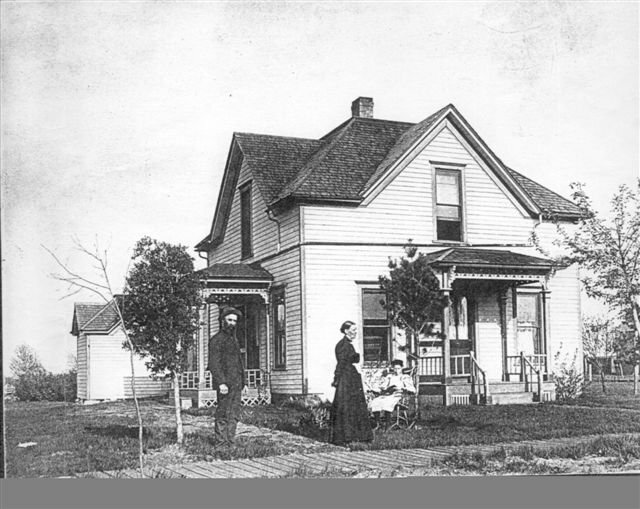 left Pembroke to homestead in Iowa in the 1860's. Ottawa River. This is the area settled by the Scottish Laird of McNab in 1825.
trucked away from the Madawaska Valley. 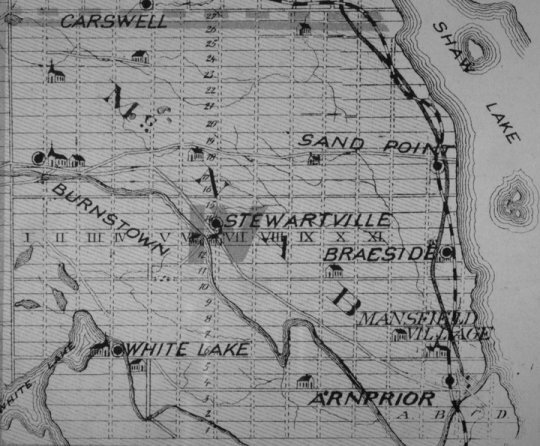 Shaw Lake on the map is part of the Ottawa River. It's correct name is Chats Lake. and Sand Point are some of the places shown on the map. after John Egan from Aylmer, Quebec, one of the early lumber barons in the Ottawa area. the town of Renfrew the logs were sent along to the Ottawa River. latter half of the 19th century. for it's white water rafting. 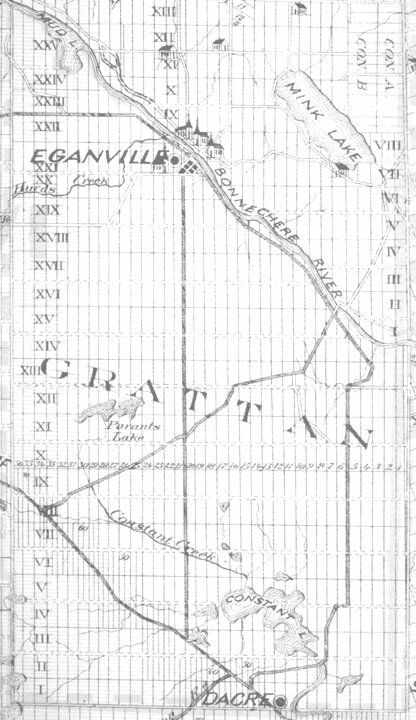 The McNEE or McNIE family were early settlers in Bagot and Blythfield Township. 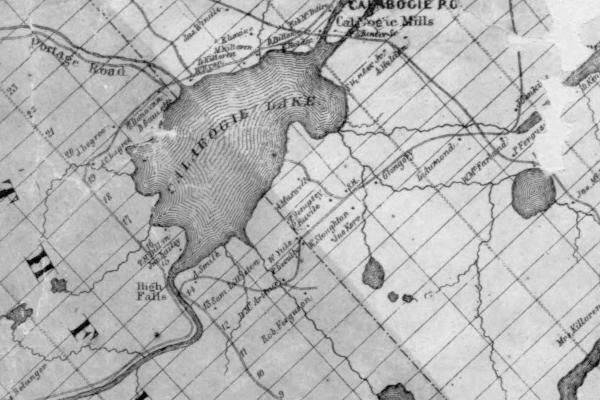 The Town of Pembroke was being settled around 1822.
around Ompah, Ontario. Palmerston Lake has a large population of Lake Trout. See a link to our Ompah / Parmerston Lake area under date of November 24, 2011, on this page. 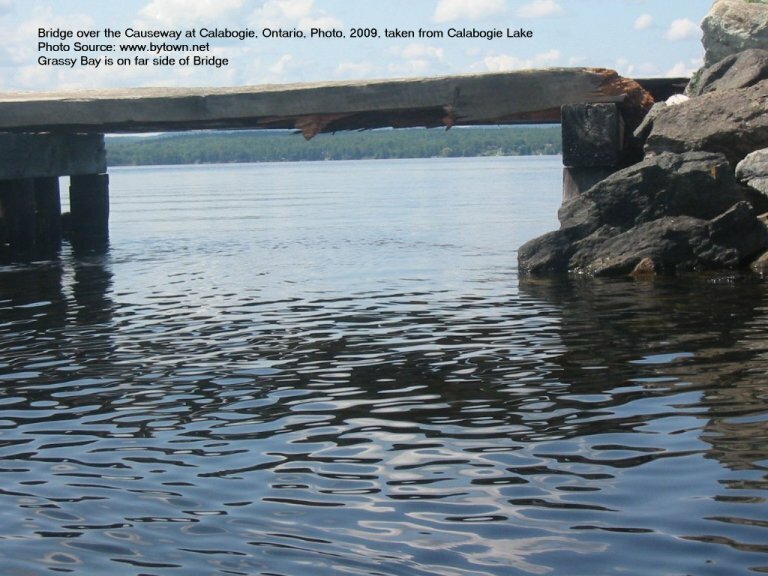 Here is an interesting history of Calabogie Lake and Village. 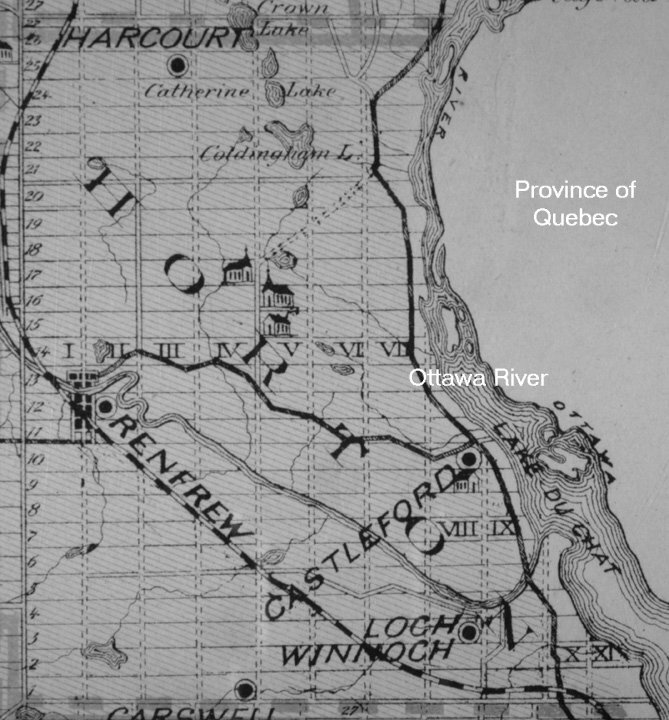 access for settlers travelling from the town of Renfrew to Barry's Bay, Wilno and Eganville. 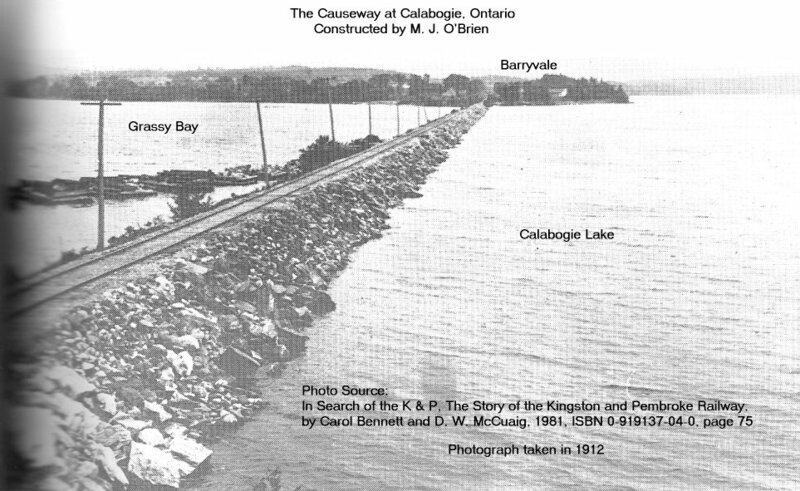 Photo Source: The Upper Ottawa Valley - A Glimpse of History, page 148. The Graphite Mine at Black Donald was in business from the 1890's until 1955. Taylor Kennedy has sent in an interesting history of Black Donald Mines. 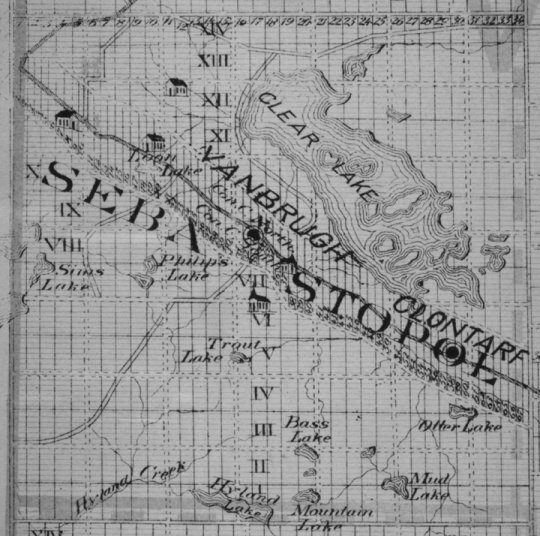 the bush as stated in the story of Black Donald Mine. 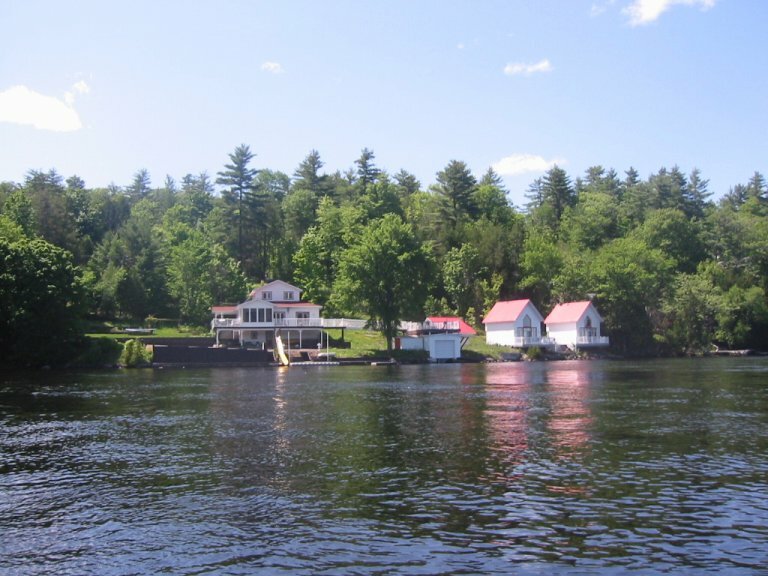 This thread (more maps, charts and photographs) are followed up on Taylor Kennedy's web page for the Madawaska River System. We are on a quest to find the location of a ghost town on the Madawaska River System. Norway Bay to Braeside on June 25, 2011.
is a photo of James. If you have one we would love a copy for our anniversary celebrations. Look forward to hearing from someone in the family. 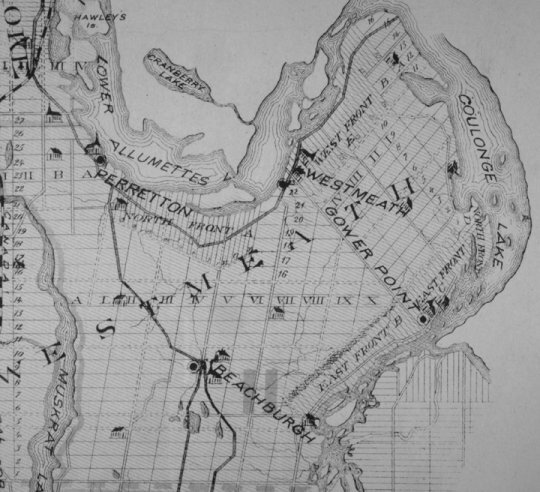 Here is a topographic map showing the Ompah / Palmerston Lake area. Hardcover, no ISBN. A very good book. M. J. O'Brien married Jennie Barry (Barryvale on Calabogie Lake). Come to Matawatchan in Renfrew County to celebrate the 131st Canada Day events. The village of Douglas is located on Highway 60, west of the Town of Renfrew.